Below is information regarding our San Antonio Property Management Services. We specialize in Residential Property Management, but also help investors buy and sell residential real estate. We are a small San Antonio Property Management Company offering investors an easy and less-stressful way to manage their rental properties. We aren’t exclusive to the San Antonio Metro Area but also serve the Canyon Lake, Spring Branch, and New Braunfels rental markets. San Antonio has a diversified economy ranking 4th among Texas metropolitan areas and 38th in the United States. San Antonio's economy is focused primarily within military, health care, government civil service, financial services, oil and gas and tourism sectors. 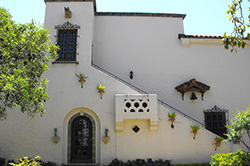 Over twenty million tourists visit the city and its attractions every year, contributing substantially to the city's economy, primarily due to The Alamo and River Walk. The River Walk, meanders through the Downtown area, is the city's second most visited attraction. It was one of the first restorations of an urban river. Lined with numerous shops, bars, and restaurants, as well as the Arneson River Theater, this attraction is transformed into an impressive festival of lights during the Christmas and New Year holiday period, and is suffused with the local sounds of folklorico and flamenco music during the summer, particularly during celebrations such as the Fiesta Noche del Rio. 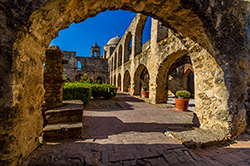 Beyond taking in the sights and sounds of San Antonio, tourists can sample some of its world famous Tex-Mex cuisine at the many fine restaurants located throughout the city.